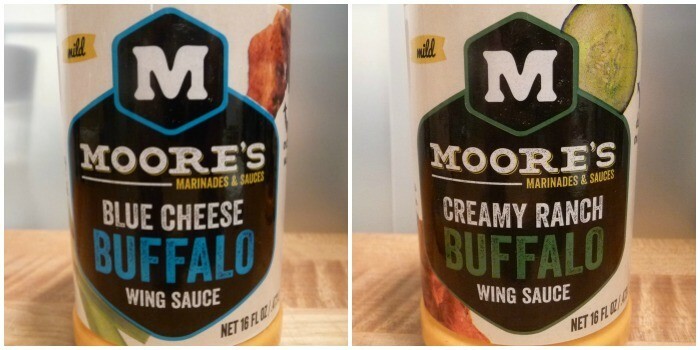 On day 3 we’re doing another “two-fer” that features two more wing sauces from Moore’s – their Blue Cheese Buffalo and Creamy Ranch Buffalo Wing Sauces. 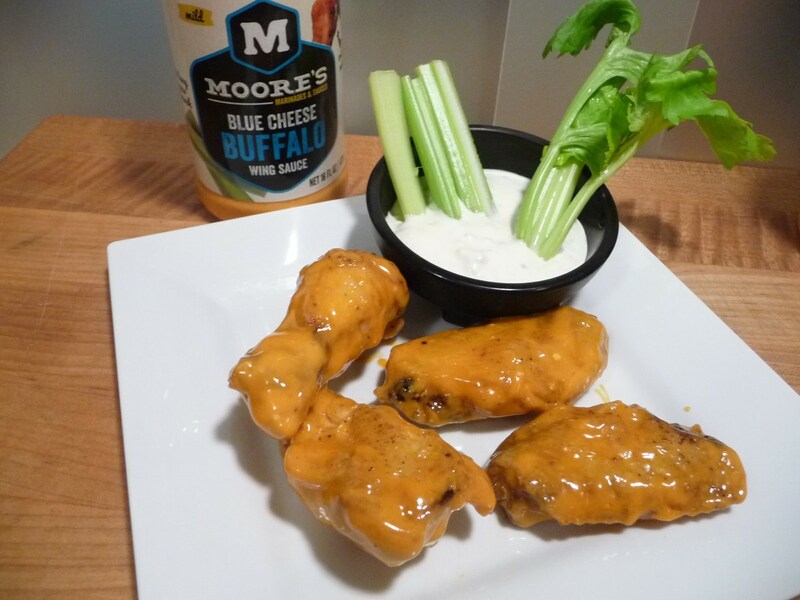 This year we’ve been blown away by the quality of Moore’s Marinade and Sauces. They really are that good! And so, on Day 3 we’re looking at Moore’s again, but this time it’s their creamy wing sauces. Very strong blue cheese flavor without the heat of traditional Buffalo wing sauce. This sauce is creamy, thick and rich, and is an amazing addition to your platter of wings for the “mild” lovers of wings. 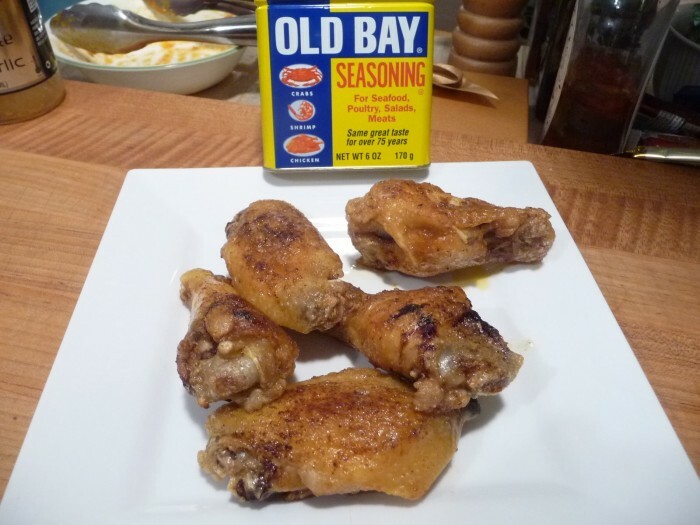 A nice balance of flavor without the heavy hot sauce or heavy vinegar flavors. Heat Level: – Almost no heat. Super mild. Overall flavor: – You don’t find a blue cheese wing sauce with this much flavor very often. Delicious! We’re in the uber-mild side of sauces here, but very delicious too. 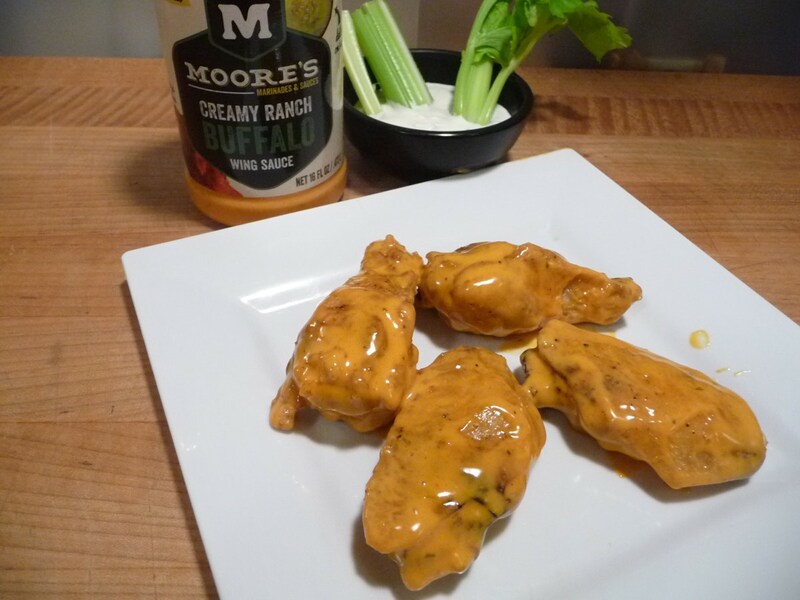 If you are a Ranch Sauce fan, this wing sauce will not disappoint! And your family will love it too. This thick, pleasant tasting sauce would suit any gathering – football, baseball, family picnics… bring it and they will eat it! They’re like mild buffalo wings with Ranch dip built in. They have a true Ranch dip flavor! Overall flavor: – Good for all occasions! Satisfying. 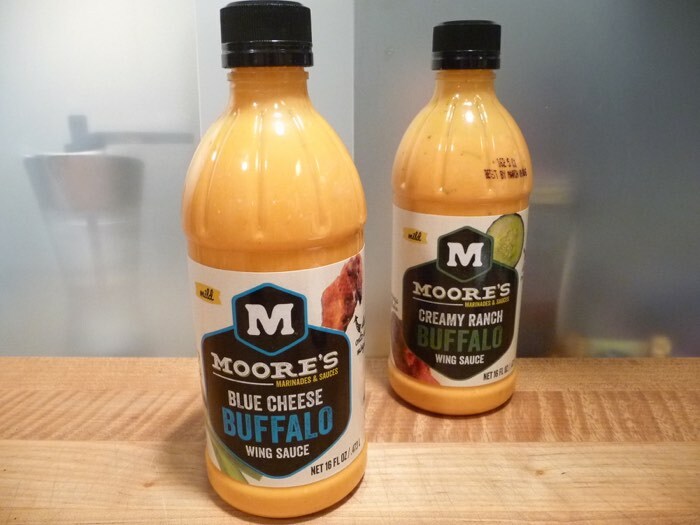 Please let us know if you try any of the Moore’s Sauces – or if you want to soon, by leaving a comment below!